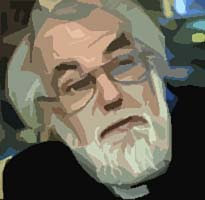 It has been fascinating to observe all the hullabaloo over Rowan Williams’ recent lecture on sharia law. The press’s infallible capacity for misunderstanding is matched only by the politicians’ spectacular ignorance of jurisprudence – an ignorance best encapsulated in the Home Office minister’s response to Williams: “To ask us to fundamentally change the rule of law and to adopt Sharia law … is fundamentally wrong.” As though Williams had been calling for an overthrow of British law! Anyway, you can read Rowan Williams’ entire lecture for yourself here: it’s a dense, thoughtful, informed, and highly nuanced reflection (prepared for an audience of lawyers and jurists) on the complex relation between law, citizenship, and the identity of religious communities. Williams rightly critiques “a damagingly inadequate account of common life,” in which “particular sorts of interest and of reasoning are tolerated as private matters but never granted legitimacy in public as part of a continuing debate about shared goods and priorities.” And he rightly critiques the tendency of a hegemonic rights-based philosophy to construe legal universality in such a way that “a person [is] defined primarily as the possessor of a set of abstract liberties, and the law’s function [is] accordingly seen as nothing but the securing of those liberties irrespective of the custom and conscience of those groups which concretely compose a plural modern society.” Is it true that wherever a right or liberty is granted, “there is a corresponding duty upon every individual to ‘activate’ this whenever called upon”? In short, Rowan Williams wants us “to think a little harder about the role and rule of law in a plural society,” and to think more generally about the character of law itself. But thinking is hard work – and it’s neither as enjoyable as a good lynching, nor as satisfying as a posture of moral indignation.